Small batch artisan chocolate made with the finest single origin cacao from the Solomon Islands that is 100% allergen free and vegan friendly. Using only organic, natural ingredients this fine chocolate is free from preservatives and additives. Velvet Nib is a wickedly dark 70% cacao bar with crunchy, roasted cacao nibs. Description: Small batch artisan chocolate made with the finest single origin cacao from the Solomon Islands that is 100% allergen free and vegan friendly. 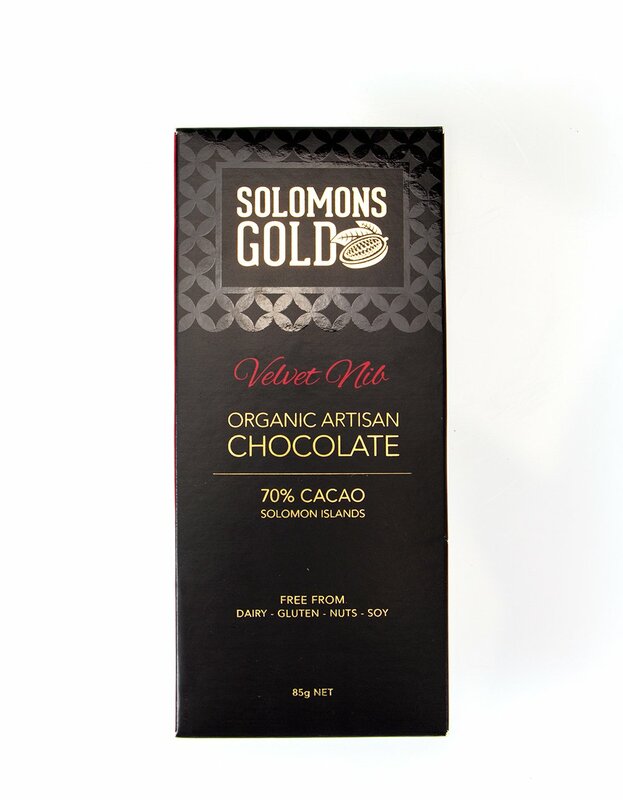 Using only organic, natural ingredients this fine chocolate is free from preservatives and additives. Velvet Nib is a wickedly dark 70% cacao bar with crunchy, roasted cacao nibs.